Allegations of an Islamist plot to take over schools in Birmingham, which surfaced earlier this year, caused a national outcry. The debate was intensely polarised, with the government sending in a former counterterrorism police officer to investigate, and local residents arguing that the schools simply reflected the faith of their primarily Muslim intake. In the aftermath of the scandal, I went to Birmingham to speak with people involved about the impact this national scandal has had on the local community. 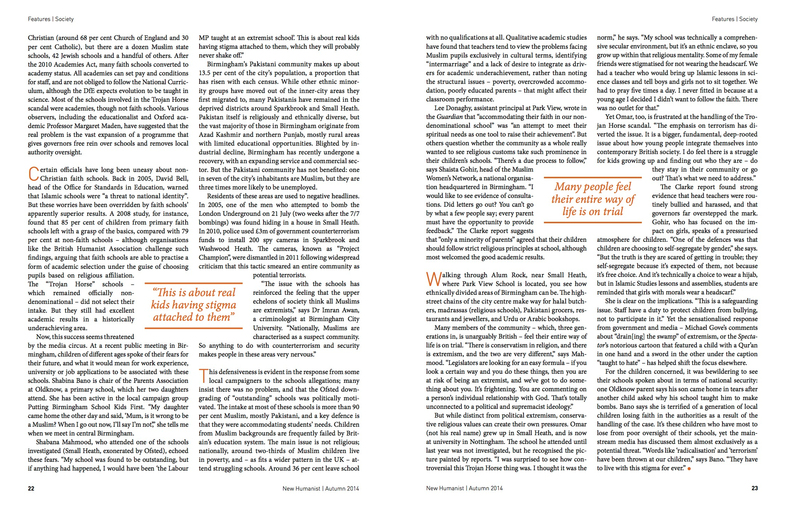 i wrote a long report on the subject for the latest issue of the New Humanist, which is out now. 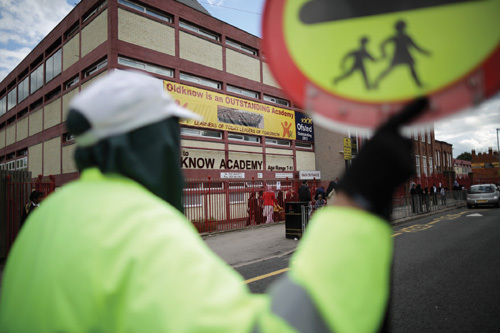 The sharp differences in narrative illustrate the polarised debate over Birmingham schools: one camp argues that these schools were indoctrinating children, while the other maintains they simply accommodated the cultural needs of their Muslim intake. What is the truth? You can read the full piece over at the New Humanist website, and the clipping is below.